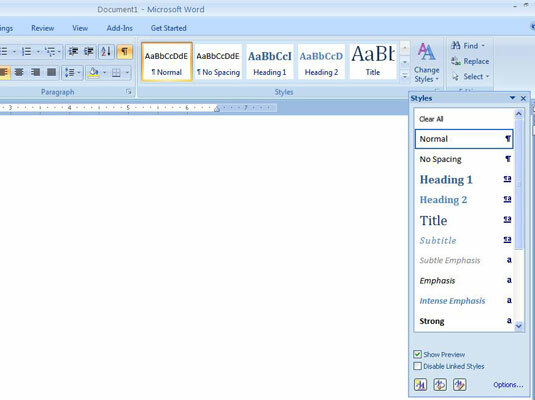 When you create a style in your Word 2007 document, you can base it on a paragraph of text that you have formatted the way you like. 1Type and format a paragraph of text. Keep all text formats (font, size, attributes) the same inside the block. Paragraph formatting uses only one text format for the whole paragraph. 2Mark your paragraph as a block. The selected text appears highlighted. 3Press Alt+Ctrl+Shift+S to summon the Styles task pane. The Styles task pane shows your paragraph style highlighted, but unnamed. 4Click the New Style button. It’s the left-most button at the bottom of the Styles task pane. The Create New Style from Formatting dialog box appears. 5In the Name box, type a name for your style. Short and descriptive names work best. Also, try not to use the name of an existing style or else you replace that style with the new one. 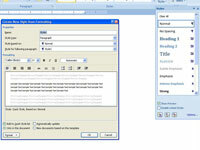 6Ensure that Paragraph is chosen from the Style Type drop-down list. 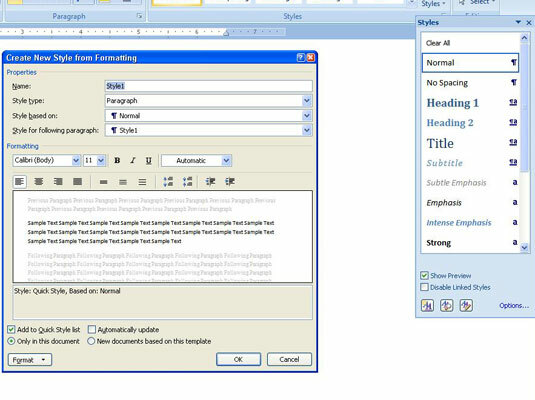 This ensures that the style affects an entire paragraph when you apply it. 7Make any further adjustments to the style as necessary. You can use some command buttons for quick changes, or click the Format button in the lower-left corner of the Create New Style from Formatting dialog box to display a pop-up list of formatting dialog boxes. Select one to further customize your style. 8Check the Add to Quick Style List check box. Your style will now appear in that list. 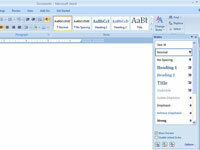 The style is added to Word’s repertoire of styles for your document.